Welcome to Kumiko Lawrence's Art Gallery!! - Website of sumikumiworks! Welcome to Kumiko Lawrence's Art Gallery!! 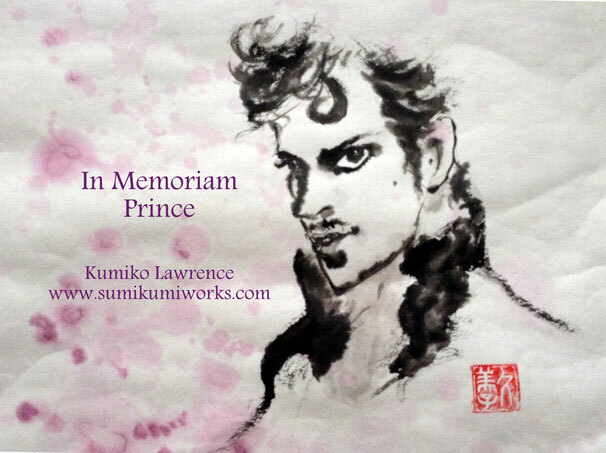 Kumiko Lawrence’s sumi-paintings are featured in the winter 2015 issue of the magazine Parabola together with a NOh play " Kiyotsune" original translated story by Kenneth E Lawrence. 2014 Kumiko is also painting digitally - iPad sumi painter! Her work featured weekly in Digiletter " Heike Monogatari and the traditional Noh Play of Japan" with Kenneth E. Lawrence. 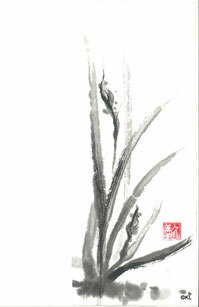 Kumiko's Sumi paintings will be featured with Biwa ( Japanese lute) performance in The Bainbridge Summer Festival 2013 on Sunday, August 4th. 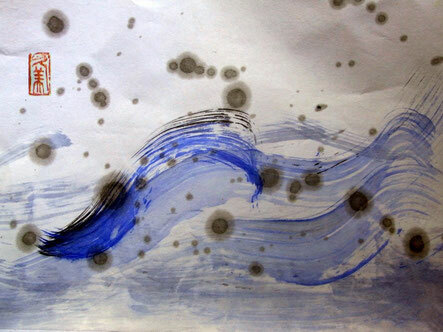 Kumiko Lawrence’s sumi-paintings are featured in the summer 2013 issue of the magazine Parabola together with a Mahabharata-based short story by Kenneth E Lawrence. Soju Kai Seattle (Kenneth E. Lawrence and Kumiko) are writing a monthly column 'Stories From the Noh" in the North American Post/Hokubei Hochi (北米報知).